Fylde DFAS is delighted to announce that both our current Chair Marie Riley and past Chair Hilary Alcock have both been honoured by NADFAS (National Association of Decorative & Fine Arts Societies). Hilary Alcock has been elected to the NADFAS Board as a Trustee. Hilary was the founder Chair of Fylde DFAS and has played a large part in its huge success. NADFAS works to promote decorative and fine arts appreciation and education alongside heritage conservation, and volunteering projects. The Board supports nearly 400 Societies, with 90,000 members across the UK, as well as in mainland Europe and NZ. Hilary, who is also a Trustee of Blackpool’s historic Grand Theatre, is hopeful that her recent experience, both of governance and of setting up an organisation from scratch, can be brought to impact upon Head Office’s future planning and development strategy in supporting its members. Marie Riley has won an Individual Marsh Award for Young Arts Volunteering, in recognition of the ‘It’s a Birdie!’ community arts project. Readers will remember that the project, which was funded by the Arts Council, Fylde Borough Council and NADFAS, was conceived to run alongside and celebrate the Open Golf Championships at Royal Lytham St Annes in 2012, and involved 600 local people. Partners, co-ordinated and led by Marie, included the RSPB, Home Start Fylde, St Annes Library, Guides, Brownies and Moonbeams, as well as local primary and secondary schools, colleges and churches. 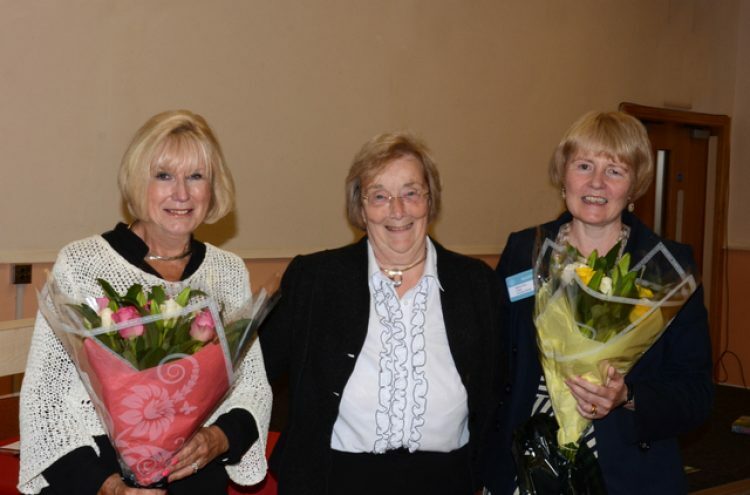 Fylde DFAS members heard the news at the June lecture where Hilary and Marie were congratulated and presented with flowers by our President Jo Darbyshire.